TINCheck offers users the ability to secure their accounts using two-factor authentication. Two-factor authentication is an authentication method that requires two independent pieces of information to establish the users identity. Something the user knows, their password, and something the user has, their smart phone. Requiring two factors to login significantly decreases the chance of unauthorized access. Two-factor authentication also reduces the risk posed by weak passwords that can be easily shared, guessed, or cracked. Step 1: Install any OATH Time-Based One-Time-Password (OTP) generator onto your smartphone. - Android Devices: Google Play Store, Search for Google Authenticator. - iOS Devices: App Store, Search for Google Authenticator. - Windows Phone: App Store, Search for Microsoft Authenticator. Step 2: When logged into TINCheck click on the "Account" tab. Then click on the "Setup" button next to Two-Factor Authentication. 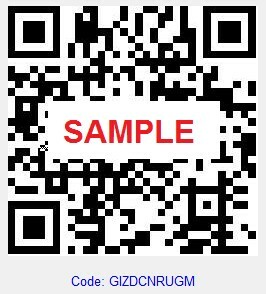 Step 3: Open the smart phone app and add a new account by scanning the QR code. If for any reason you can't scan the QR code you can manually activate the account by using the manual activation code in Step 1. Step 4: Confirm that the account has been properly activated on your smart-phone by entering the current 6-digit code into the Step 2. box and click "Enable". Done: Two-factor authentication is now activated for this TINCheck user. During login enter your User ID and Password then check the "I have a MFA token" box and enter your 6-digit authentication code. Step 1: When logged into TINCheck click on the "Account" tab. Then click on the "Disable" button next to two-factor authentication. Done: Two-factor authentication is now disabled for this TINCheck user. If you need any assistance with setting up two-factor authentication on your account or are having trouble logging in please email support@tincheck.com or call 1-866-452-3467.